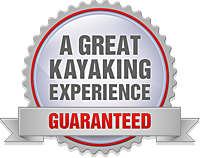 *The Next Urban Kayaking Adventure is Scheduled for Thursday, September 3rd, 2015 @ 10:00 am (click here to inquire). Kayaking along Florida’s First Coast may seem like an obvious thing to do, but what about kayaking in a large city — right in the middle of downtown? Urban Kayaking isn’t exactly a new fad, but it is relatively new to the River City. 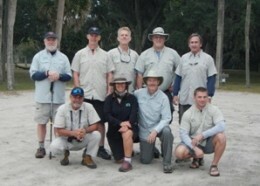 Launching in the heart of downtown, paddlers are surrounded not only by water, but by concrete, steel and glass. Tall office building line the banks and tower over the river while a network of bridges connect the city that grew up along both banks of this vital waterway. 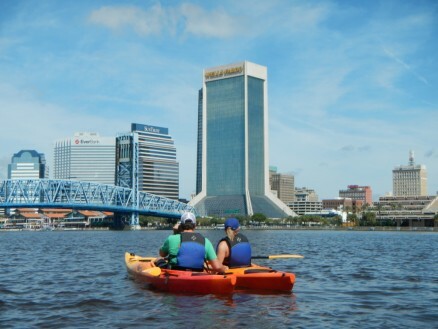 With multiple points of interest and striking scenery, it was only a matter of time before kayaking in downtown Jacksonville became popular. 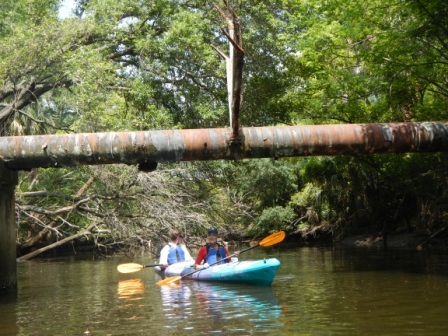 For more information on Up The Creek Xpeditions’ Urban Kayaking Adventures, go to: http://jacksonvillekayakcompany.com/kayak-tours-jacksonville-amelia-island-st-marys-cumberland-island/kayaking-in-jacksonville/downtown-jacksonville/ or email us at: info@UpTheCreekX.com.